The County Council Budget and Finance Committee’s $621 million proposal for the fiscal year 2016 budget will be considered for first reading on Tuesday at 10 a.m. The committee has issued a committee report – listed on the council agenda – that recommends passage of the legislation necessary to enact Maui County’s annual budget. During its multiweek review of the mayor’s proposed budget, the committee identified numerous policy issues worthy of further deliberation after the budget session. So, the committee report also recommends those issues be referred to the appropriate standing committees. A possible audit of the Maui Interscholastic League’s use of county facilities – such as War Memorial Stadium – is being referred to the Economic Development, Energy, Agriculture and Recreation Committee, chaired by Council Vice Chair Don Guzman. 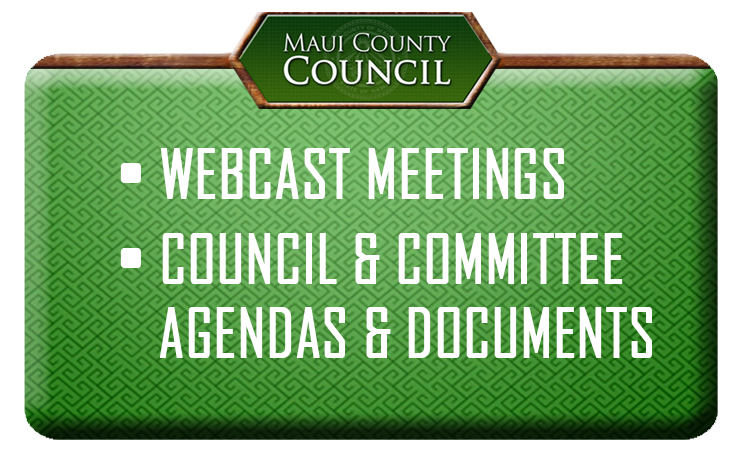 That committee is also requested to evaluate the need for agricultural inspectors, review the rates for the Waiehu Municipal Golf Course, and evaluate strategies to support enforcement of ocean recreational activity permit regulations. Various revolving funds – including those for housing, animal management and senior services – are to be reviewed by the Housing, Human Services and Transportation Committee, chaired by Council Member Stacy Crivello. The goal is to ensure these funds are still needed, not duplicative of other programs and operating efficiently. Council Member Elle Cochran’s Infrastructure and Environmental Management Committee is slated to review various other funds, including the Highway Beautification and Disposal of Abandoned Vehicles Revolving Fund and the Construction Plan Review Revolving Fund. The committee is also being requested to evaluate the county’s green waste service and determine the feasibility of private funding for the Waiale Road Extension Project. The Planning Committee, chaired by Council Member Don Couch, will receive the matter relating to seawall construction in Maui County. The Policy and Intergovernmental Affairs Committee, chaired by Mike Victorino, is asked to consider an audit of the Fire Department, including overtime policies, as well as to review the Emergency Fund, Alarm System Revolving Fund and Liquor Education Fund. Council Member Gladys Baisa’s Water Resources Committee is set to consider a review of the county’s watershed protection grants, implementation of electronic billing statements for water and wastewater consumers, and the new Upcountry Water System Expansion Capital Improvement Reserve Fund. 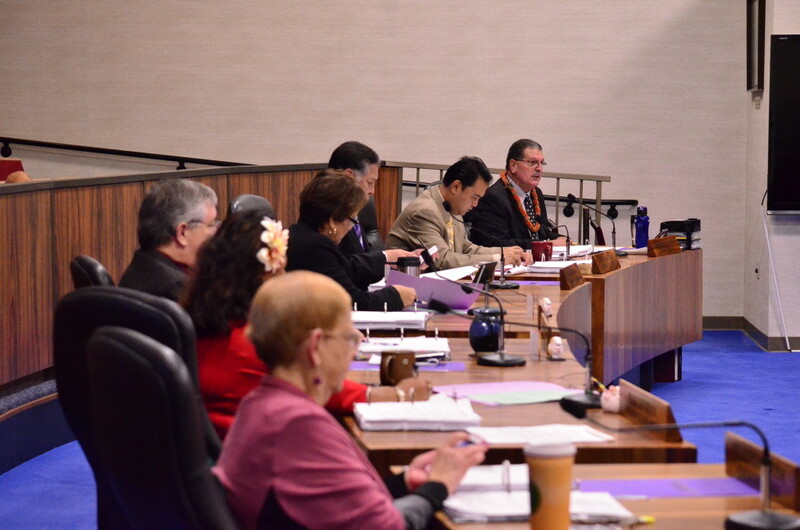 The matters of the county’s investment policy and tax classifications for transient accommodations are being kept in Council Member Riki Hokama’s Budget and Finance Committee for further review. The council will also honor Maui Waena Intermediate School’s Technology Club for national achievement at the Student Television Network Convention in San Diego. The public is invited to testify on any agenda item. Go to mauicounty.us/calendar for the complete agenda.